If you are a parent to a toddler, you are probably aware of YouTube video series like Peppa Pig and Ben and Holly’s Little Kingdom. You also probably know their opening theme songs, like me. However, here is something you may not have noticed. In a web of video after video on your child’s little iPad, is a sort of a subset to the dark web. My four-year-old is allowed about an hour of daily internet-time as I freshen up after work, before I sit and interact with him. During this time, he is given access to YouTube. One day, I sat next to my son watching him enjoy nursery rhymes. A video that followed shocked me. It featured a woman dressed up as Elsa, from Disney’s animated movie, Frozen. She was pregnant; the content in the video seemed very age-inappropriate. I took away the iPad and observed a string of videos that followed, all with similar themes. I flagged these videos immediately. A bit of research helped me understand that this is a growing trend on YouTube. Tens of thousands of videos targeted towards children contain not just adult topics, but a whole checklist of degenerate themes. I wasn’t alone, other parents worldwide, were using hashtag #elsagate on Twitter, to flag this phenomenon. A team of researchers even created a website www.investigatingyoutube.com, to spread awareness. The recurring themes in the videos include dismemberment, kidnapping, fetishism, drug injections, pregnancy, abortions and learned helplessness. The suspicious videos are disguised as innocent education and superhero videos. We spoke to some Gulf News readers, to see what they thought of the issue. 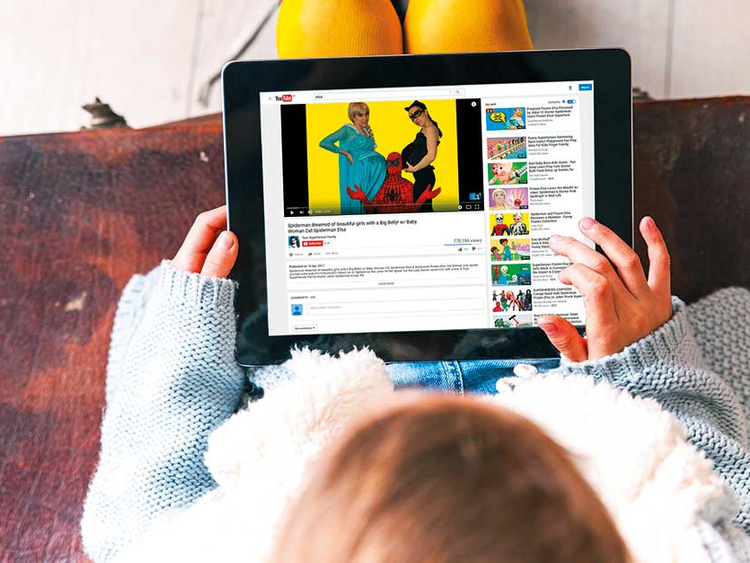 As a parent, my next concern was — how are these videos affecting my child’s psyche? For many parents putting a child in front of a video app is common method to make them eat. Gulf News reader Alifiya Aliasgar feels it all boils down to parenting. She said: “One may call me a helicopter parent but I watch everything that my child watches. We all know internet is not safe for children. One click leads to another and they could be exposed to any content. Mohammad Bin Haider Almarashda, an Emirati PhD researcher in national cyber security, currently based in the UK, told Gulf News: “We need a new global organisation and international laws to enable punishment for those who upload content, which could harm children.